We don't know if you've noticed, but winter is now well and truly under way. You may have discerned such from the rapid drop in temperature to near minus numbers, however we found out the traditional way here at T3 Towers when the rat powering T3's patent-pending Speculatron froze to death. While Jeff the janitor removes his icicle-laden carcass and dumps it in the trash, before fighting the legendary Rat King in the basement for a suitable replacement, why don't we take a look at some of the top styles of the season? Barbour say this jacket is "perfect for the true country gentleman" and, to be honest, we totally agree with them. Crafted from 100 per cent wool, the Dotterel features a special collar that - when conditions get super cold - can be folded up and then studded around the neck, ensuring the icy wind or driving rain is kept well and truly out. Two huge bellow pockets also grant the jacket superb carrying potential, while above them lie a brace of hand-warming pockets too, meaning that even if you are caught gloveless you can keep your pinkies warm and snug. It also looks absolutely superb. These gloves are the result of a collaboration between classic English glove maker Chester Jefferies and Jamieson's of Shetland, the latter producing the world's best 100 per cent Fairisle wool knits. The result is just fabulous, with a capeskin leather (or touchscreen leather if you prefer) glove and strap combining with various and bespoke signature knits, which inject extra warms and winter style to these lovely gloves. These boots are probably among the very best in the world. They are so good in fact that we recommended them last year, just as we are recommending them this year. We'll probably recommend them for winter 2017 too! "Apart from looking absolutely super, the build and construction are just through the roof. Coming fully-welted and with a high top, the boots are made out of Italian leather and Maracca suede, while the interior is lined with Shearling sheepskin. The boots are finished with a five eyelet and triple hook fastening too. If you need new multi-use protection for your feet and have the cash, then these immensely rugged boots are just the answer." Comedy Christmas jumpers are all well and good, after all somebody has to win the best Christmas jumper office competition, however for the rest of winter more stylish and socially acceptable attire is required. This super warm and classic jumper from Shackleton is the sort of thing you should be looking for. Understated, cool winter colours and top-draw insulation are delivered along with a four-ply steel wool yarn build. Under-arm gussets grants enhanced freedom of movement too. Gilets are an essential addition to anyone's AW armoury and, now we are praying to the gods of heating that our January energy bill won't bankrupt us, now really is time invest if you haven't already. This heavy duty number from Barbour is spot on the money, offering a classic quilt design, box-pleat patch pockets, zipped side-entry pockets and a robust main zip. Needlecore trims, stud fastenings and Barbour's classic tartan interior lining completes the package. Made in collaboration with the renowned Scottish mill Johnstons of Elgin, this scarf by Jaeger ticks all the boxes for a good winter warmer. Constructed from a wool and cashmere blend (that's 90 per cent wool and 10 per cent cashmere) for warmth and softness, sporting a rectangular design and finished nicely with coloured edge bars, your neck certainly won't go cold encased within this. It's rather dear, however, in this case we think it is worth the expense. In winter you need a bag that is substantial enough and strong enough to stand up to sudden and dramatic changes in weather. This Ribble Rucksack from English bag manufacturer Chapman gets this, offering a spacious multi-use bag (suitable for work, travel and leisure) that is built from a robust, shower-proof canvass material. The interior also boasts added protection around core compartments with structured padding, while the exterior sports a one-handed mountaineering style 4 bar slide strap adjuster and leather grab handle. 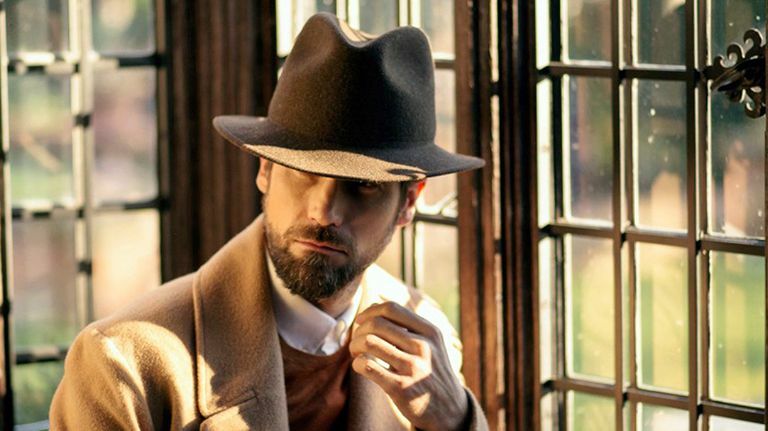 Lock & Co really knows what it is doing when it comes round to hats, which is something demonstrated perfectly in the Rambler trilby. Somehow this hat manages to deliver a modern, versatile, city-style hat that also evokes the classic English countryside too, making it ruddy perfect for any winter expedition no matter where you are heading. It's crafted from wool felt and treated to be water-repellent too. Cold, pub-filled winter walks is what Christmas is really all about, so keeping all parts of the body suitably warm and restriction free is crucial. These thermal trousers from Jack Wolfskin (what a name!) fit the bill for that perfectly, delivering a pair of softshell trousers that are both wind and water-resistant. Lightweight, breathable and super warm, these pants are perfect for picking out that perfect countryside pub. We're a big fan of Farer here at T3 Towers, with the British watchmaker turning out a series of classy timepieces over the last few years. This wonderfully seasonal number, the Automatic Beagle, is another hit with a stainless steel case, sapphire crystal glass dome and tan Barenia leather combining to great effect. Its design is classic to the point of retro, however the modern finish and tweaks, such as the distinctive red Farer compass tip on the second hand, grant it a hard edge.